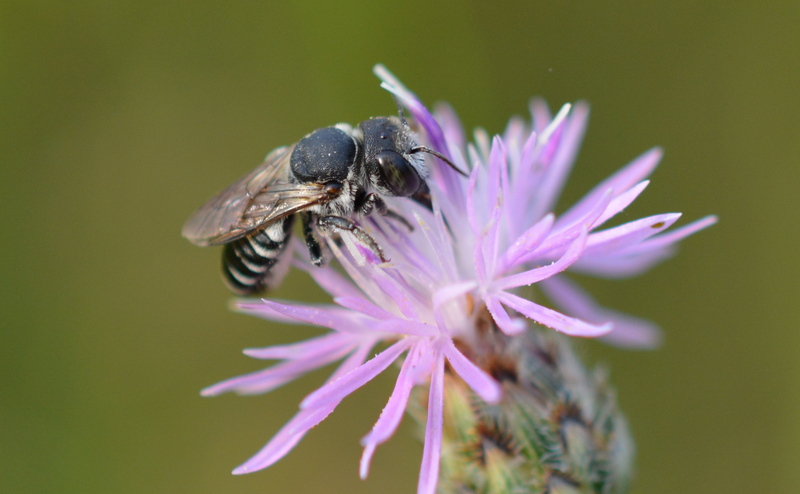 Leaf Cutter bees are a diverse group of solitary bees represented in North America by 140 species. 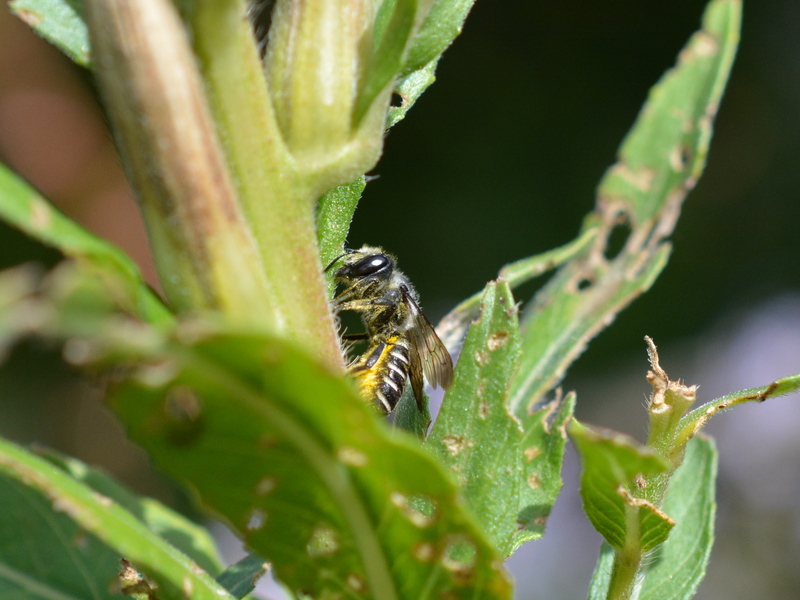 Leaf cutter bees cut holes in leaves that they use in the construction of their brood chambers. Using strong mandibles the female cut pieces of leaves according to the shape and size needed to line her brood chambers or to create cell divisions. The benefit of these bees as pollinators outweighs any minimal damage to plants. 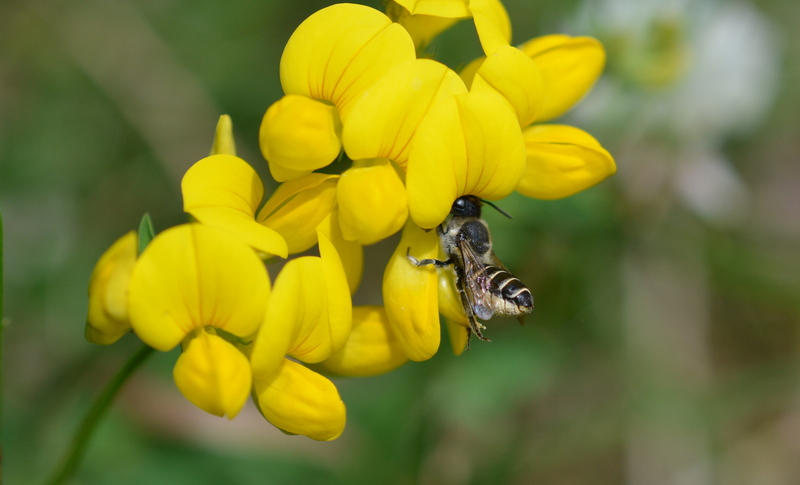 These bees often curl their abdomen upward as they enter a flower, revealing the pollen collecting scopa hairs on the underside of the abdomen that are characteristic of members of the Megachilidae family. Other members of this family include: carder bees and mason bees.